East meets west! Duncan is from New York and Lindsey is from California, but they actually met in college at Montana State. 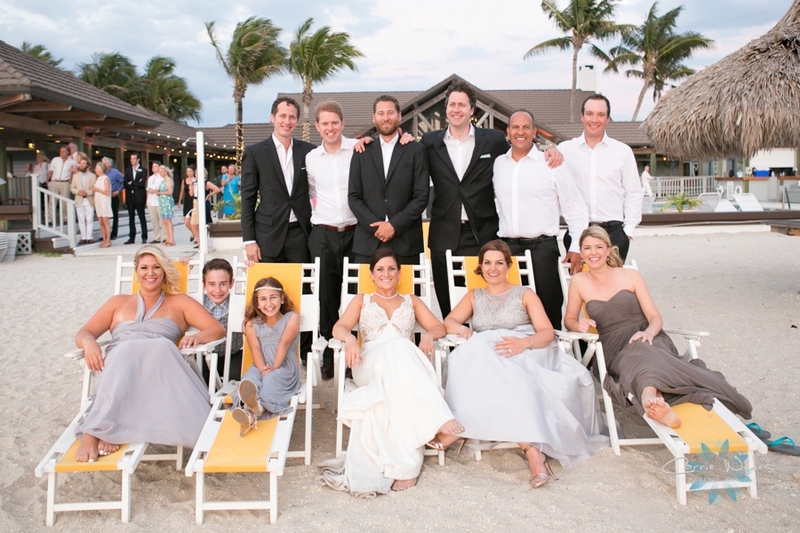 Duncan's family has a home in Boca Grande, and it's a special place to them having visited throughout the years. So their families and family came from over the US to celebrate with them at the Gasparilla Inn! 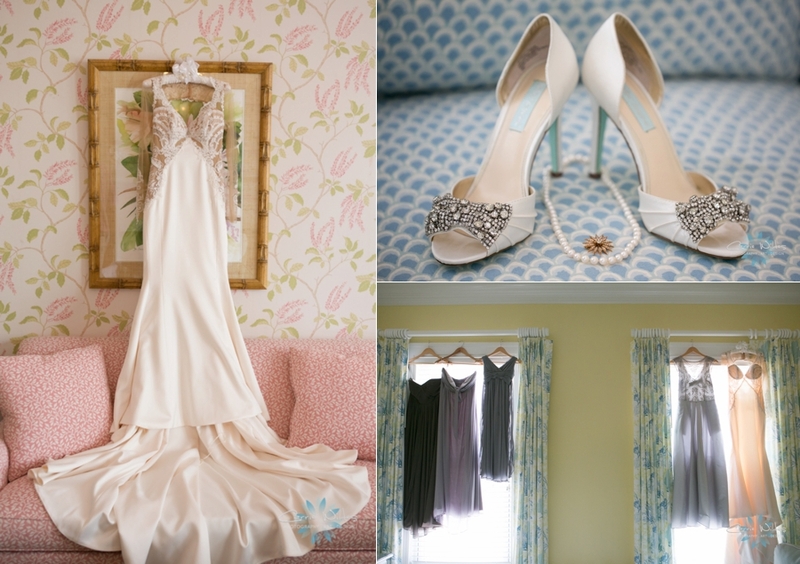 I LOVE Lindsey's custom gown! The sleeves had lace detail at the ends and she had it designed so that they sleeves actually came off for the reception. The broach she wore on her necklace was her great grandmother's from 1910. The ring on her right finger and her something blue was a sapphire from the Pettibone family on Duncan's side. 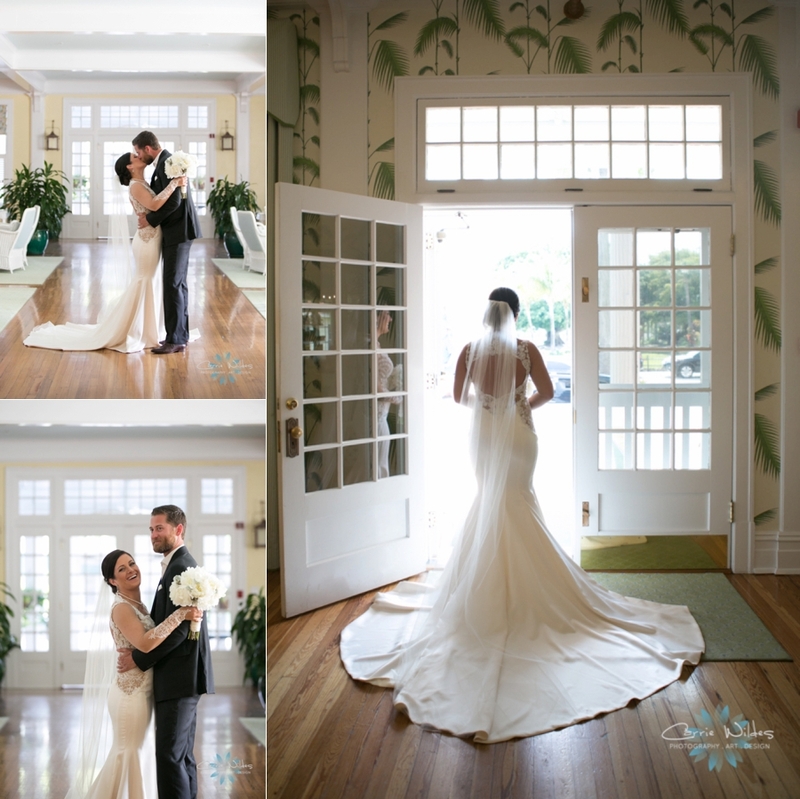 The Gasparilla Inn is seriously a photographer's dream there are little rooms with cute furniture, stairwells, and beautiful lighting everywhere! They did a first look and Duncan gave Lindsey beautiful earrings that went perfectly with her dress. 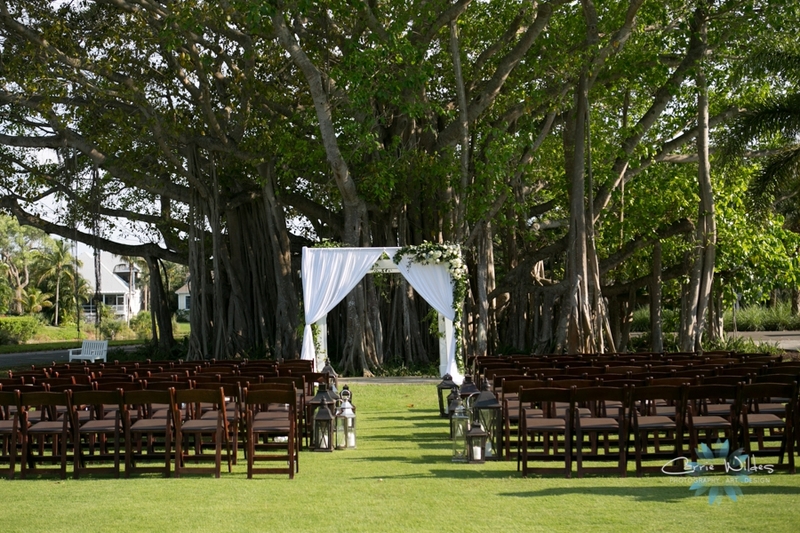 Their ceremony was under the biggest banyan tree I've ever seen! 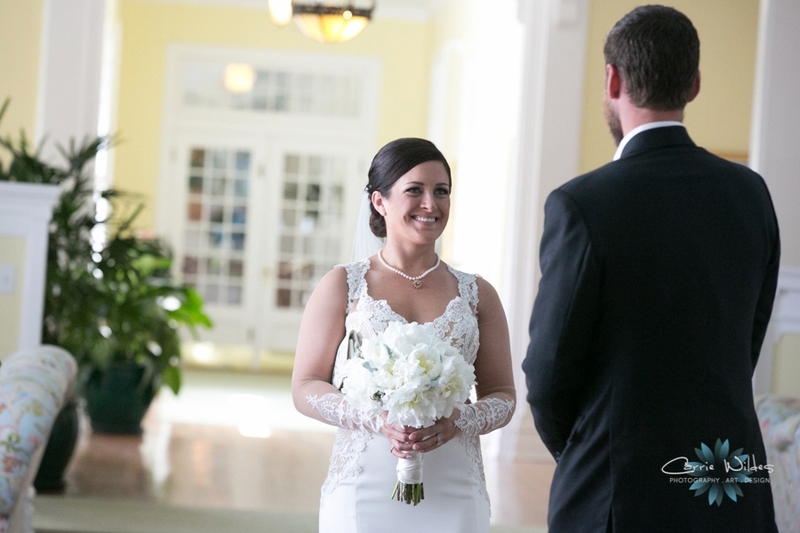 After Lindsey read her vows, Duncan accidentally kissed her, it was so sweet! They love their dog Cody, so he attended the wedding but also ran down the aisle when Duncan called him to bring the rings! Duncan's family is Scottish and they some really cool details that added some Scottish flair. A bagpiper lead everyone to the Beach Club from the ceremony and there was a beautiful family Crest on the fireplace, it was also on Duncan's wedding band. There was a street totally lined in banyan trees and a church Lindsey had seen with this really cool door that made for amazing backdrops. The Beach Club was laid out with long feasting tables decorated with floral boxes, lanterns, and candle light. 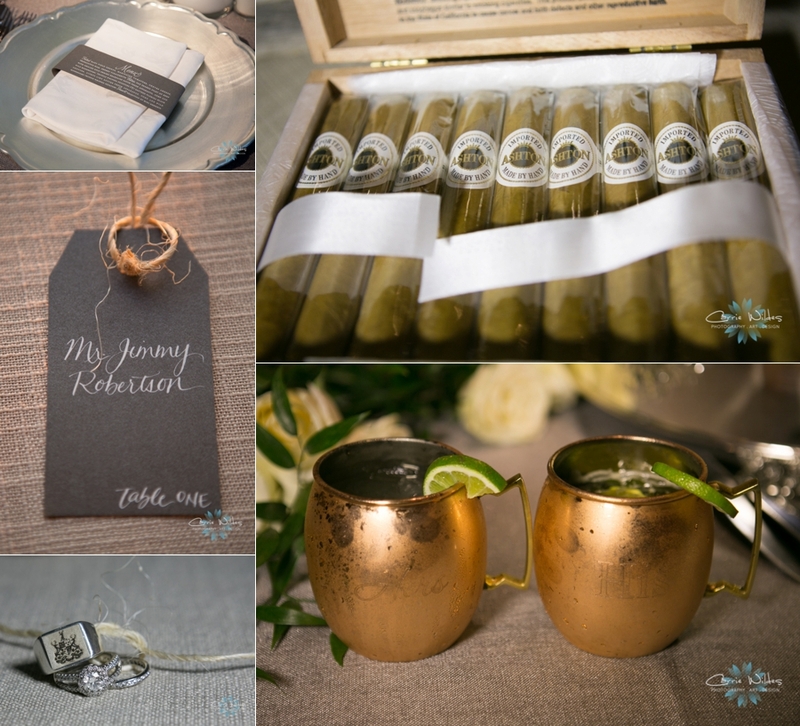 They even brought a little Montana here with traditional copper toasting mugs for Moscow Mules. 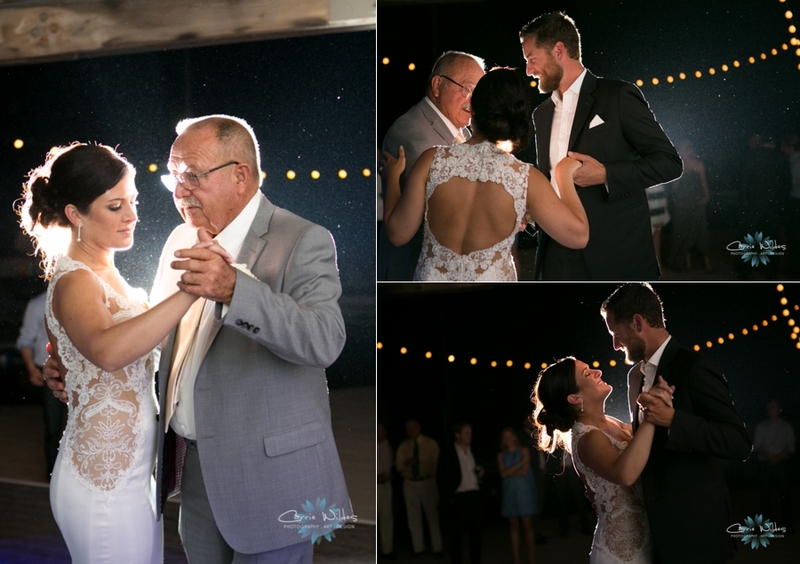 Their first dance was on the patio and Lindsey surprised Duncan with their song that she had sang and recorded for him! It was amazing:-) Everyone got to enjoy the most beautiful Florida sunset before dinner, toasts, a special song, and lots of pretty fantastic dancing! The even had some little princesses decorate their getaway golf cart! Congrats Lindsey & Duncan it was amazing!